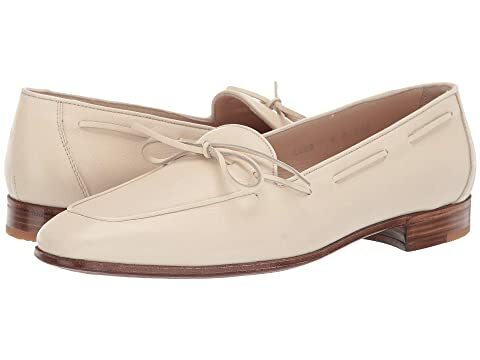 We can't currently find any similar items for the Bowed Velukid Slip-On Loafer by Gravati. Sorry! The sheer elegance of this simply beautiful shoe is unmistakably Gravati. It is beautifully made, light weight, exceptionally comfortable and has the wonderful smell of handcrafted leather. These are fabulous, well made shoes. Price was a bit steep, but glad I made the purchase. I’ll have these for a very long time. Beautiful shoe. Sorry it is to wide and short. I wear a 6.5N to AA in most shoes, This shoe was short and wide. Gravati lace ups typically fit me in a 6.5.